China has gained potential access to millions of barrels of oil after it won approval for oil exploration and extraction in Afghanistan. 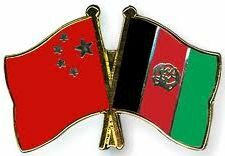 Afghanistan's cabinet approved a deal to allow China National Petroleum Corporation (CNPC) to develop oil blocks in the Amu Darya Basin. The basin is estimated to hold around 87 million barrels of oil. The deal comes as China is looking to expand its oil resources in wake of a growing domestic demand.